The dal-tile 12 in. x 12 in. Napolina natural stone floor and wall tile is a rustic-style tile that is honed and unglazed. It features a medium sheen and a smooth finish. 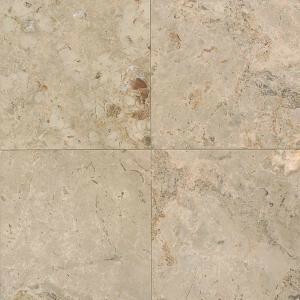 Designed for residential use, this beige-color tile complements almost any home's decor. It is an impervious, frost-resistant tile that can be used indoors or outside. It is marginally skid resistant. Buy online Daltile Napolina 12 in. x 12 in. Natural Stone Floor and Wall Tile (10 sq. ft. / case) L75012121U, leave review and share Your friends.